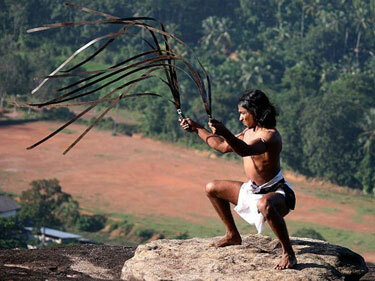 2 Feedbacks on "India’s Urumi Whip Sword"
I think the adage, “never bring a sword to a gun fight” applies here. There might be a reason the weapon hasn’t been used for generations. But prior to the invention of the bow and arrow, it was probably quite a weapon. Just make sure your side kept there distance in close quarters fighting. Looks like the fellow who lost got his elbow bloodied.